RhB / Swiss Trains • View topic - Rhaetia Fundraising. 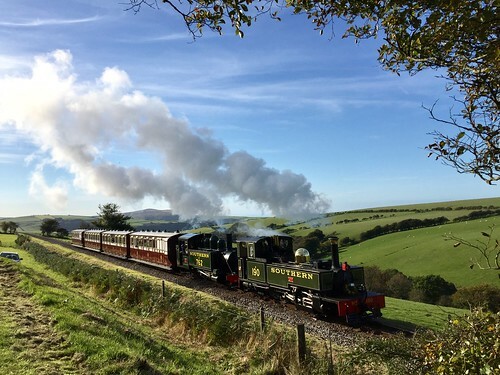 On 9th November, RHB will launch a campaign in conjunction with the Association of Steam Friends of the RhB and the Club 1889 to raise funds to operate RhB 1 "RHAETIA". The campaign will feature a special liveried loco. Something to look out for! The objective of the fundraising is to meet the cost of the 900 tons of coal estimated to be needed for the operation of RHAETIA. This is not something within the scope of the RHB finances, this loco is their contribution to the efforts of the Grisons rail clubs. A new RHAETIA web page and donations account are being set up, I will post details here when they are available. Post subject: Re: Rhaetia Fundraising. Thanks, seems a minimum donation is 100chf though, if they’d put in just any donation by Paypal etc I’d pop in £20 or so but £76 is a bit too much for coal, and I’m unlikely to see her in my week holiday, with other deserving charities and would cover 2 ½ years of my membership of the Lynton & Barnstaple Rly! Think you may have misread - you can donate any amount you like / can afford. If its over 100chf you get a certificate and over 1000 chf "we will perpetuate your name on a gourmet table in the vehicle and invite you to the premiere ride of the "RHÆTIA". Ok it was the security thing throwing me out not the amount! The translation confused me, when I translated the error I got it. Now it’s given me the bank account details but my online banking doesn’t want to play at present. I think I’ll fire up the laptop later. Paypal would have been so much easier than iban etc! Maybe we should club together and send them a bag of coal in lieu of donations?